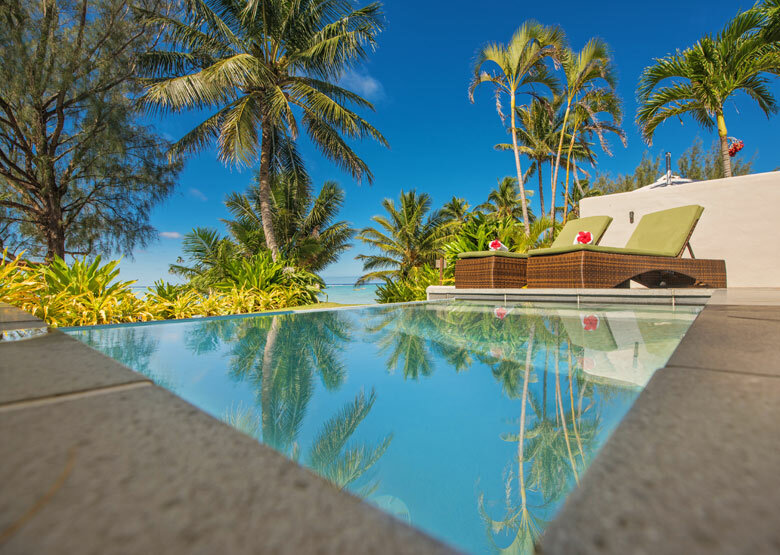 Nautilus Resort opened in October 2014 and immediately garnered popularity as one of the Cook Island’s premier luxury boutique resorts. It’s 17 spacious arès are located on the popular Muri Beach – each featuring either 1, 2 or 3 bedrooms, their own salt water plunge pool, large outdoor furnished deck set in their own courtyard and well appointed interiors that are designed with an elegant, contemporary Polynesian style. 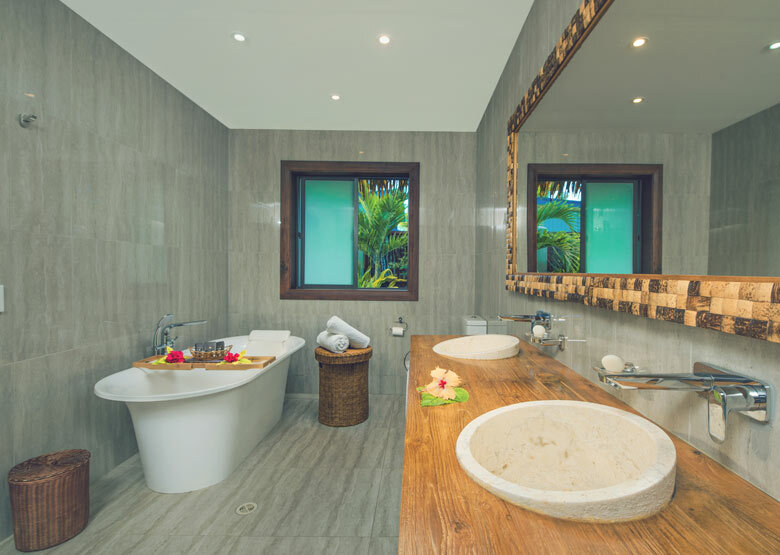 All 2 and 3 bedroom villas are well equipped with mini kitchenette that includes an espresso pod coffee machine and start of the art entertainment and communication system. Families are welcome year round with a ’Kids Conceirge’ onsite for children aged 5 years +, and the resort consequently lends itself beautifully to multi generational travel. Dining is a pleasure in their hugely popular, stylish beachfront restaurant which features a chic beach bar and offers Polynesian influenced dishes with a special flair! 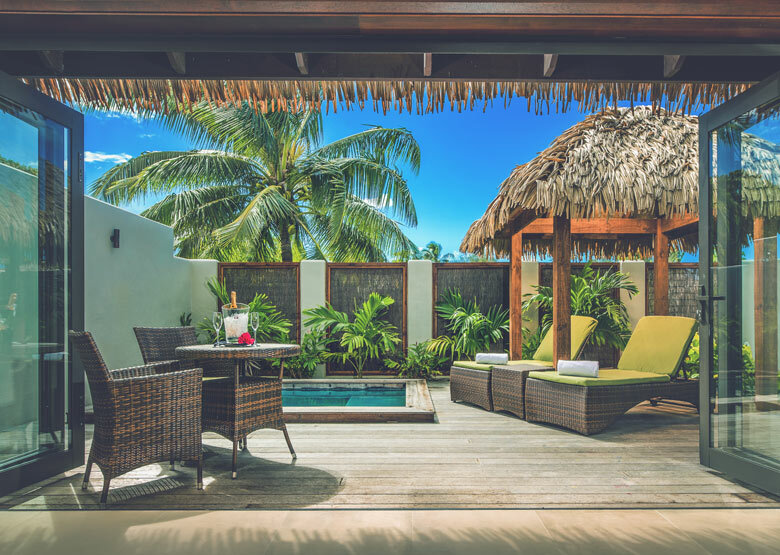 With an onsite Spa and a variety of guest activities available, Nautilus offers guests the accommodation flexibility of a private villa with the convenience of a full service boutique resort. 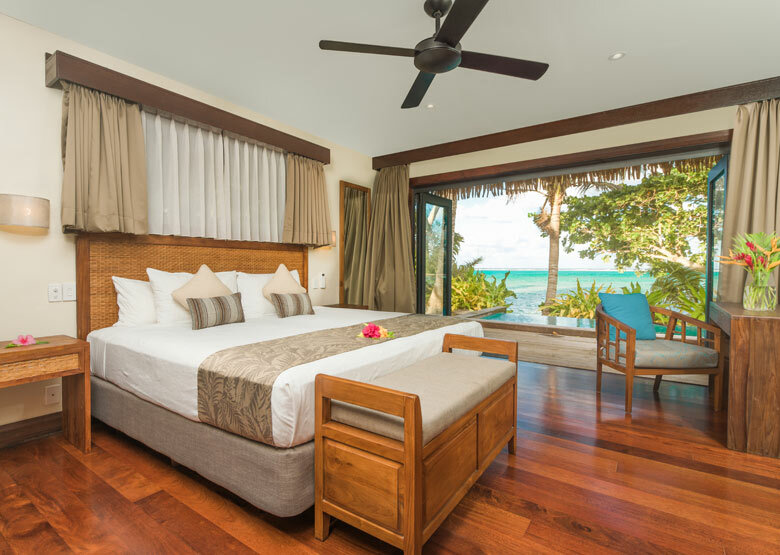 Honeymoon Bonus: Complimentary bottle of Nautilus wine, 30 minute massage per person plus a complimentary room upgrade (subject to availability at the time of check in). Conditions & specific travel dates apply. 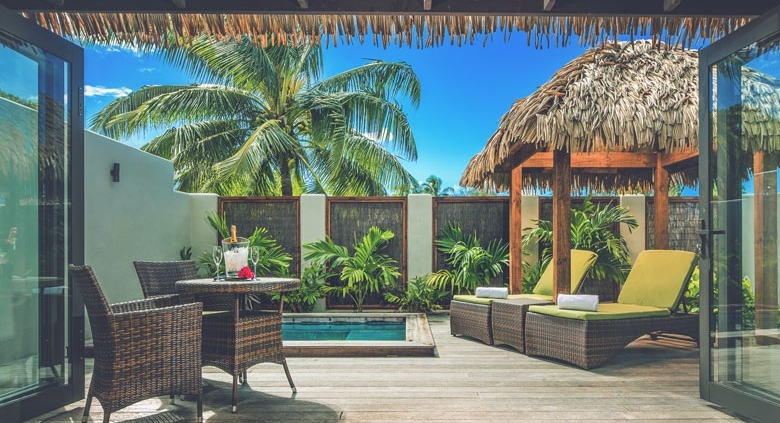 Set beachfront with a lush mountainous backdrop, this ecologically mindful resort is dedicated to those who want a modern yet authentic South Pacific experience in cool elegant luxury. 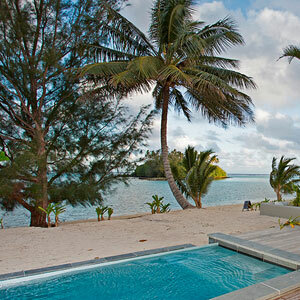 Nautilus Resort is located on Muri Beach Rarotonga, Cook Islands. Getting to Nautilus is easy! 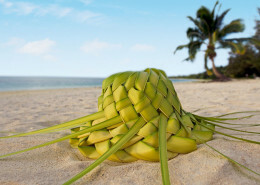 Transfer time is approximately fifteen minutes from Rarotonga International Airport. See map below for exact island location. We just returned from staying at the beautiful Nautilus in a beach front Are (room). So gorgeous, beautifully appointed luxurious & comfortable. Friendly staff where nothing is too much trouble.